Custom designed to fit cargo area in the Jeep Grand Cherokee and Jeep Liberty, this net helps hold cargo in place and is easy to remove. 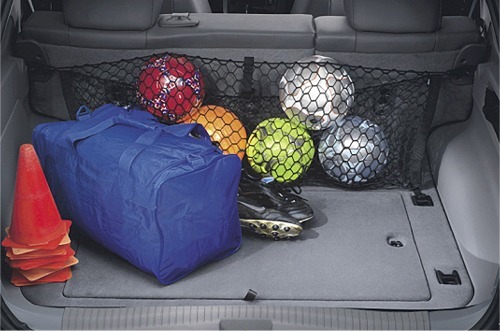 Black nylon net fastens to tie-down loops to help keep loose items secure while maintaining convenient access to cargo area. Great I received it fast. Good customer service.